Archery has gained momentum in popularity as a sport over the past few years. It is a popular sport for both men and women. In fact, according to the Archery Trade Association, over 4 million women participated in archery this year, either as target archers or as bowhunters. When first starting out, it can be a daunting task for new archers to find the right equipment for archery training. But it doesn’t have to be. The important thing for new archers to keep in mind when searching for their first bow is to make sure the bow is the right size for their body, strength, and ability. It is important to keep this mindset going forward in abilities. 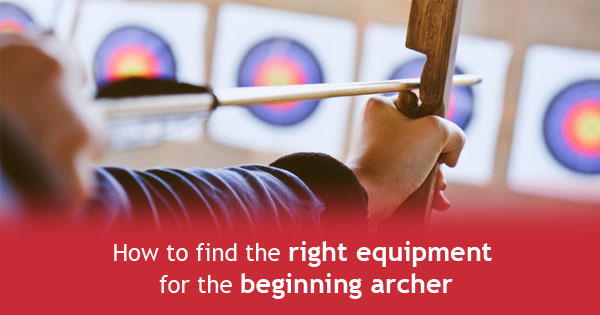 One of the first things you should know when shopping for equipment for archery training is to make sure that the bow you purchase is going to suit your needs. You do not need a hunter’s bow if all you want to do is shoot recreationally at a range. Similarly, you definitely do not want to go out to the hunting range without a specific hunting bow. Going to an archery training program will help you find the right sized bow as well as give you the coaching needed to have the correct form. Being a part of a club can help you do more than just finding the right equipment for archery training, it can also help you progress to competing if that is something that you want to do or if your club coaches think that you have a good shot at competing. Clubs make a great resource for any questions you might have. Downloading an archery app can also help with providing videos of archery strength training and tips on how to avoid target panic down the road. They can also remind you what the correct technique for shooting. The most important thing for beginners is to make sure that they have the 10 basic steps of a good shot (stance, finger placement, hand placement, bow arm, drawing, anchoring, holding, aiming, release and follow through) down before they move on. An archery training app can be one of the best tools for a beginning archer. As you grow in your archery skills, so will your capacity for handling better equipment and shooting at longer or more difficult ranges. It is important to remember to give yourself grace during the beginning of your training and keep working on your skills so that you can become a better archer.